Ready for a whole new look? Just need a fresh cut or color? 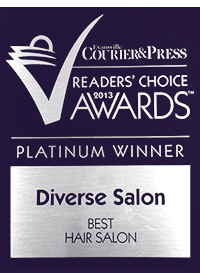 Give us a call at 812.480.5503 to schedule an appointment or drop by the salon. We are located in Center Point, half a block North of Turoni’s Forget-Me-Not-Inn. Print these coupons to bring with you on your next visit!